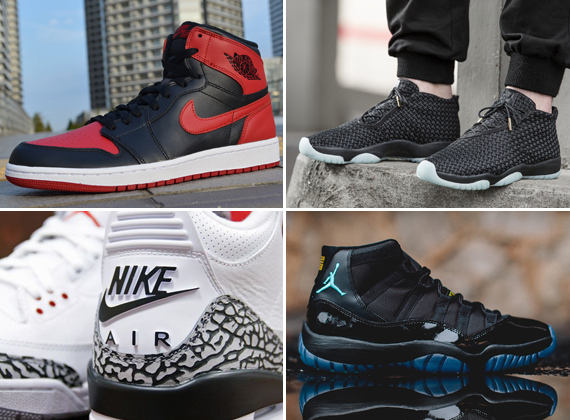 There is another huge Eastbay restock of Air Jordans planned, and it’s going down tomorrow, July 22nd. Before we get into the details, we must mention that this one will once again consist mostly of larger sizes, so don’t expect full runs to pop up when you log on tomorrow looking for the shoes. The group is pretty impressive, and again features far back and sold out pairs like the Air Jordan 1 “Bred”, Air Jordan 3 ’88, Jordan 11 “Gamma Blue”, and much more. Find the full list after the break and watch for this Air Jordan restock to go live on July 22nd at 8AM EST right here.